Keeping track of changeovers, parts, and production is a challenge for any precision metalworking company. Every day you face the pressures of global competition, ensuring on-time delivery for your customers, and maintaining profitability for yourself. Real-time dashboards offer visualization of utilization, parts vs goal, OEE, set-up tracking, and machine status. 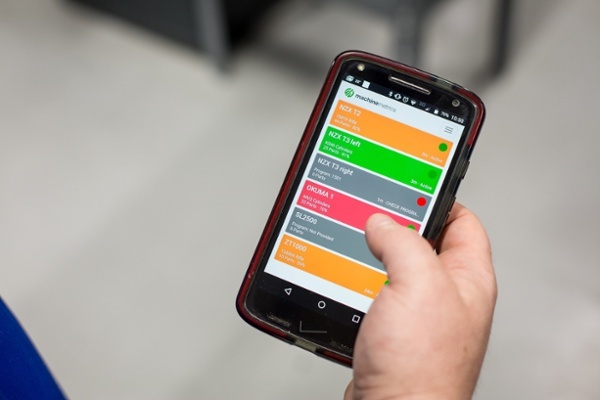 Instant notifications via text and email when a machine goes inactive or when a machine falls behind its production goals allowing factory workers to respond to problems immediately. Reduce downtime with an operator interface mounted right at the machine for categorizing downtime in real-time that’s easy to use and engaging. Pareto charts are generated automatically from this data. 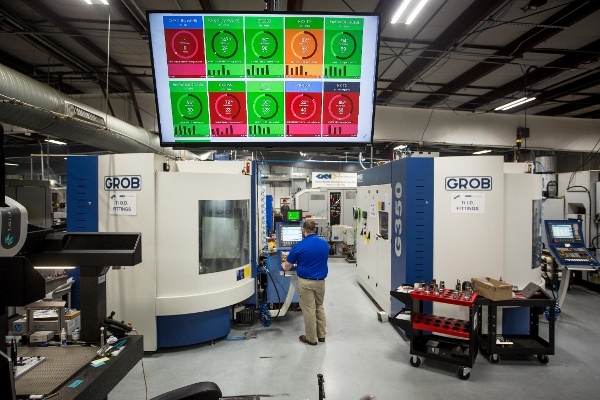 Motivate operators and improve accountability by setting machine uptime or OEE goals that are viewable from operator interfaces, and shop-floor dashboards. Detailed Machine Analytics that will report all machine information such as faults, programs, cycles, status, overrides in a timeline view, and exportable for any period of time. Detailed Job Analytics that will report on how long a job took to run, downtime & quality pareto, setup times, and OEE job efficiency. Multi-Pallet support that will associate operations with program names when running unmanned. Simple Machine Integration for CNC machines with MTConnect, FANUC i-series controls, Heidenhain, and Siemens 840D, Mitsubishi M70, and Citizen M700 controls with limited on-site software and IT support required. MachineMetrics integrators can come on site to connect to older equipment. 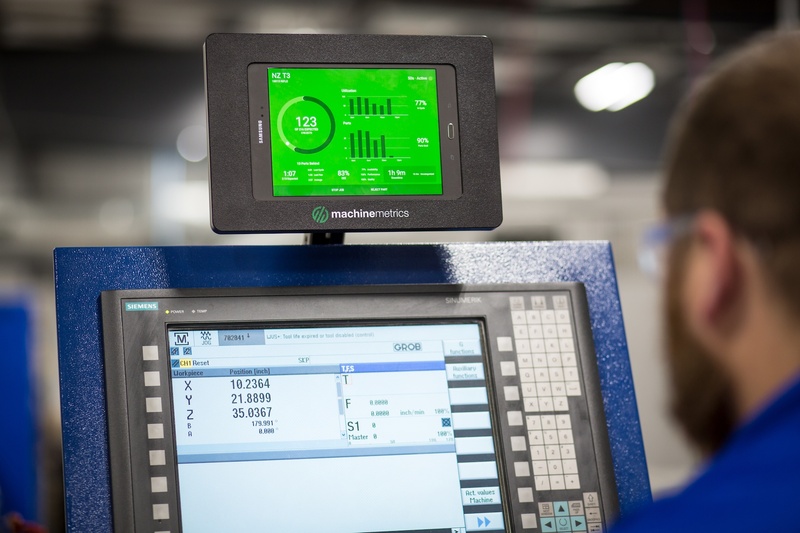 From simply installing MachineMetrics on the shop floor, VSS experienced an immediate 10% increase in production. They realized an additional 10% increase when they started taking action on the real-time data the software provides.